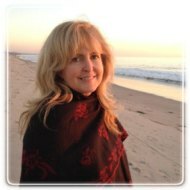 Irvine Therapist: Julie Wells - Therapist 92618. I specialize in grief and loss for individuals, and relationship enhancement for couples and families, using Emotionally Focused Therapy. EFT is THE most successful form of relationship therapy, with a 90% rate of significant improvement according to research over the past 20 years. It helps people identify the negative cycles they get trapped in when things go poorly and explore new ways of interacting to restore intimacy, love and respect. With this short-term, effective therapy, I can help you restore the loving connection you once knew. When siblings, parents and children or larger family groups are experiencing conflict, I use EFT to determine the cycles of interaction within the family, and work towards more positive cycles based on trust, responsiveness and honesty. For families that are grieving, I help to restore balance, finding ways to get everyone's needs met in new ways. If your family is having a difficult time interacting, there is no reason to live with the daily sadness, stress or anger. You can learn how to bring peace back into your home and start enjoying your time together as a family. If two families are joining together as one, I offer a program called, "Designing Dynamic Stepfamilies" that is proven by many years of research to improve communication, offer effective ways of disciplining and creating a new blended family that is happy, healthy and loving. Contact me for further details.